Hey, is kale high in oxalate, as in, what is its position in the oxalic acid chart? 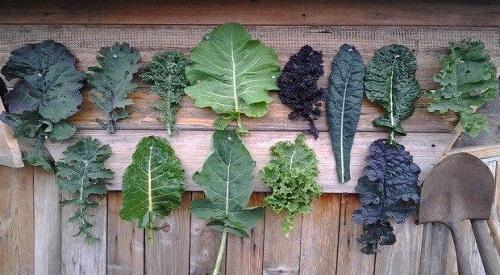 Just to mention up front is that kale is currently considered among Americas healthiest vegetables. The green smoothie has become trendy for being stunningly rich in nutrients but more so in its cancer-fighting properties and antioxidants levels. Kale shares the same family with cabbage, broccoli, and cauliflower, and since all these a super low (they are roughly 2.95mg to 3.2mg oxalate per 100g) in oxalates, it means the same is also true with kale. Well, that’s according to an old research by USDA which focused on chopped cabbage and broccoli. However, the US Department of Agriculture (in 2008) again confirmed that kale had 2mg of oxalate in very 100g – evidently coinciding with the previous findings reported some 20 years back. 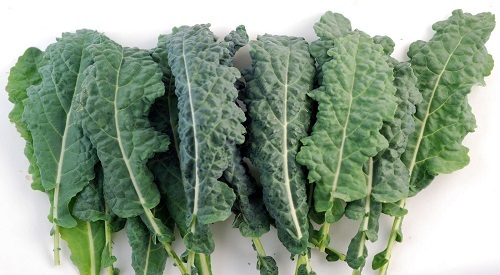 Now Let’s Clear the Airwaves: Is Kale High in Oxalate? Still, there’s a lot that needs to be highlighted to clarify the question whether kale is high or low in oxalate. Sounds confusing right? As in what I mean is that at the Yahoo low oxalate group (an online collecting point where guys test and give results about oxalic acid and their nutritional experience with foods, a few tables there show kale as appearing in all columns – low, medium and high in oxalic acid — the compound oxalate. Why that? The thing is it depends on the variety of kale you are talking about. And unfortunately, different regions call different kales different names. For instance, what is called baby kale in the UK – Russians call it red kale. What U.S. Latinos call purple kale, is called cavolonero in the UK. Now, the curly kale because of its type when raw is said to have 28.01mg per 100g. But consider this; this measurement is against 100g of the raw leafy green. 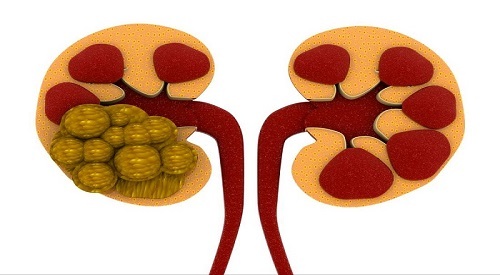 Can Kale Cause Kidney stones? Many people want to know where exactly kale stands with regard to its capacity to causing kidney stones. This is evidenced by searches like kale oxalate kidney stones, kale oxalate level, and kale oxalate content. Well, based on the above analyses it’s clear that kale is somewhat safe because, look at the fact that in a whole 100g the green smoothie, a maximum amount of oxalate that can be squeezed is less than 20mgs. So not unless you are taking a lot of this vegetable and on a daily basis — there is very little chance you can get kidney stones from kales. Initially, it was believed that kale is a low budget kind of food, especially in places where it is easily gotten. However, the magical thing about that is that people who eat this ‘leaf’ the most, also suffer lesser health complication. Looking above, the flow of nutrients seems great, right? Sure, however, some researchers say these values may also vary with the preparation method you choose – just like this also affects oxalate levels in a food. In other words, the benefit you can expect from all cruciferous vegetables can greatly be influenced by the method of cooking you choose to apply. To mention upfront, you have two options with which you can neutralize oxalates. First, you need to chop your kales, wash them on running water. Now boil your smoothie for 10 minutes until they seem a bit tender. What you are simply doing at this point is weakening the bonds in the oxalic acid compound, which basically makes the chemical to be released onto the water. When done you can now decant away the chemical together with the boiled water solution down the sink. Well, the unfortunate thing with that, as a process to neutralize oxalate is that the boiling and decanting may slash away an amount of the profitable nutrients as well. Even so, they say better a little with safety than a lot with uncertainty. The second option you can use to lower spinach oxalic acid is with a specially designed oxalate reducing agent, which you’ll find online (see product links to access the enzyme after the article). Some people also use the agent on foods like oatmeal to trim down the oxalate content. So how does this work? First, it is an enzyme and it uses a decarboxylase enzyme to disintegrate oxalic acid bonds, then binds it for removal. So Can you Still Eat High Oxalate Vegetables? While it’s obvious that you need to keep oxalate-rich foods like sweet potatoes oatmeal, and certain types of kale low, the truth is, you can comfortably take them with these oxalate reducing agents. Beside the oxalate neutralizing enzyme, you can also go the manual way of trimming down the chemical (talking of boiling and decanting — but only for the applicable foods). Top on these options, you also need to apply some wisdom to ensure you don’t over-consume the said high oxalates vegetables. Nonetheless, this also depends with the food itself, so for spinach, I’d recommend that you take, let’s say 3 times on the maximum, every 7 days. Well now that this piece has helped you clear the kale oxalate content doubt, I believe you now have that courage to enjoy kale the new trending green smoothie that has amazingly gained popularity across the U.S. these recent years. Is kale high in oxalate? – that’s a settled question now, right! Over to you: so, now how do you feel that your favorite — “kale” is off the high oxalate hook? Let’s hear your comments below. Reminder: our question was “is kale high in oxalates?” so please keep the comments within the topic, that way we’ll all be helping each other and add value to readers like you and me. Hope that makes sense.